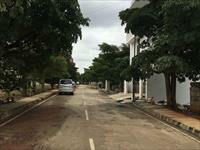 Looking for a property in Haralur Road? Have a property in Haralur Road? A Premium locality, that is most preferred from last 5 years for end users as well as for investors because of very close proximity to lots of tech parks accessibility in Bellandur, Whitefield and none other than Wipro Corporate office on sarjapur main road. 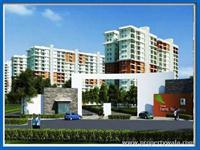 Haralur locality is full of premium and tall buildings with all world class amenities and facilities. 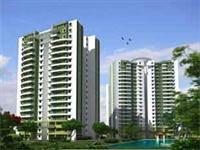 Apart from this, Haralur locality is full of category A developers with very good offerings that always attracts even after 5-7 years of mega trend. Lots of Villa projects, individual houses, multistorey apartments and budgeted homes are available to attract each and every segment of home buyers. Availability of more than 3 lakes give very good view for most of the projects and fresh air for healthy living to avoid concrete junge and full of pollution. Harlur road is well connected in all the major areas of bangalore such as Whitefield, HSR, Kormangala, Electronic city, Marathahalli, sarjapur main road. from the harlur road IT Tech parks, Malls, Hospitals, Schools, supermarkets,are very near by. Haralur Road is easily accessible to many IT offices. Close to E-city and Bellandur Junction. Total mall, Bangalore Central mall and Big Bazaar are just around the corner. Peaceful neighborhood away from traffic hassles. Many International schools (GEAR) and annexe of many old schools (Sophia, Bethany) have also started around this area. Very nice residential area with public transport and school buses. Peaceful with no traffic hassles. Haralur Road area, Bangalore is rated 7 out of 10 based on 3 user reviews. Have a good knowledge of Haralur Road? Share it and become a Locality expert. Apartments and Pent Houses for those who wish to be Privilaged. ND Passion Elite best suits those who prefer to inhabit an address in a privileged world. N.D. Passion Elite has everything for experiencing the wonderful balance of architecture, world class designing features and aesthetic perfection. 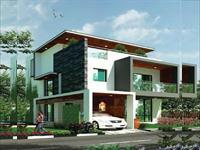 3 and 4 BHK villas on the banks of LakeDew Lake in Bangalore. RBD Stillwaters offers 3 and 4 BHK independent villas on the banks of LakeDew Lake in Bangalore. The project is suitable for leading a life of solitude.